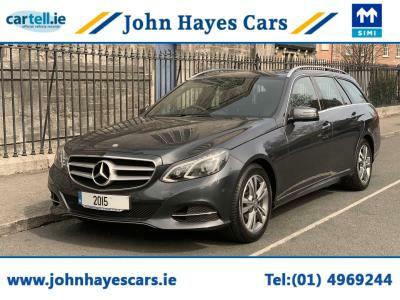 2015 151 MERCEDES E220 SE AVANTGARDE ESTATE AUTOMATIC. VERY LOW MILEAGE WITH ONLY 25000. FULL MAIN MERCEDES DEALER SERVICE HISTORY FROM NEW. 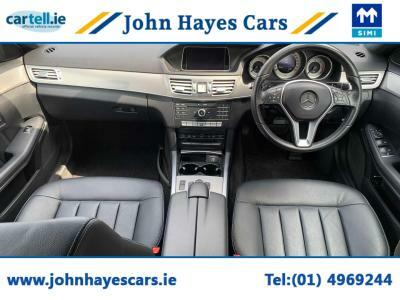 SPOTLESS CONDITION INSIDE AND OUT. 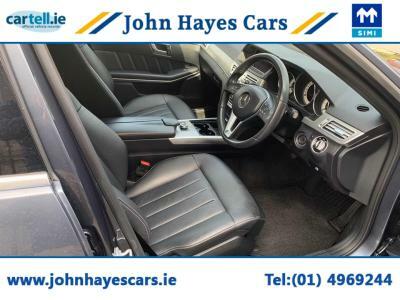 VERY ECONOMICAL WITH €270 ANNUAL ROAD TAX AND FANTASTIC FUEL ECONOMY. 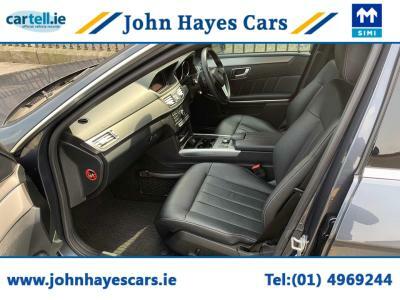 GREY METALLIC WITH FULL BLACK LEATHER. 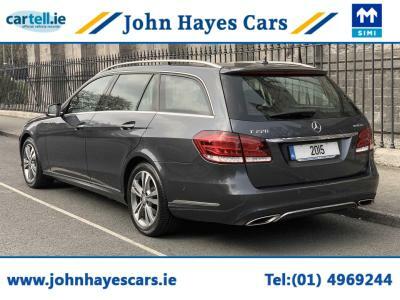 GREAT SPEC IN SE LEVEL. SIMI DEALER SINCE 1985. FAST AND COMPETITIVE FINANCE APPLICATIONS. 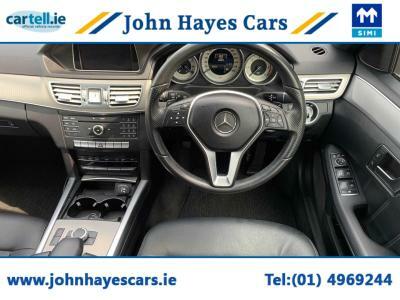 DIAMOND CUT SE AVANTGARDE ALLOYS/, MERCEDES INTEGRATED PROFESSIONAL SAT NAV, LOVELY CAR TO DRIVE WITH THIS 175BHP ENGINE, LOW MILEAGE ONLY 25000 MILES, AUTO WIPERS, AUTO LIGHTS, PROFESSIONAL BLUETOOTH, LEATHER BOUND COMFORT MULTI FUNCTION STEERING WHEEL, DUAL ZONE CLIMATE, FRONT AND REAR PARK ASSIST, HEATED ELECTRIC SEATS, MULTI SPEED TRANSMISSION WITH PADDLESHIFT, TRACTION CONTROL, CRUISE CONTROL, COLLISION PREVENTION, HILL ASSIST, USB CONNECT WITH FULL MEDIA PLAY. 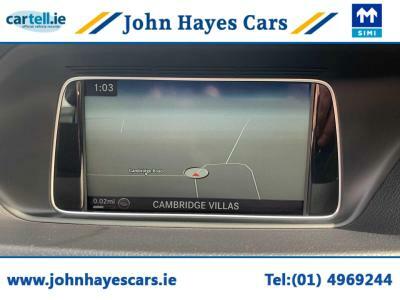 FULL 12 MONTH WARRANTY PROVIDED AND FREE CAR HISTORY REPORT SUPPLIED FOR COMPLETE PEACE OF MIND. TRADE INS WELCOME. ANY INSPECTION WELCOME. 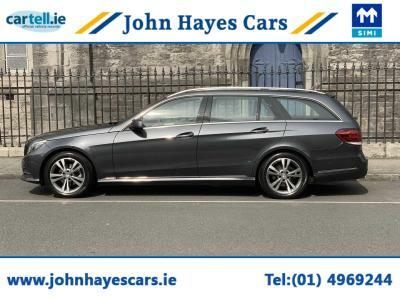 JOHN HAYES CARS, A TRUSTED SIMI DEALER SINCE 1985. FAST FINANCE APPLICATIONS AT VERY COMPETITIVE RATES.